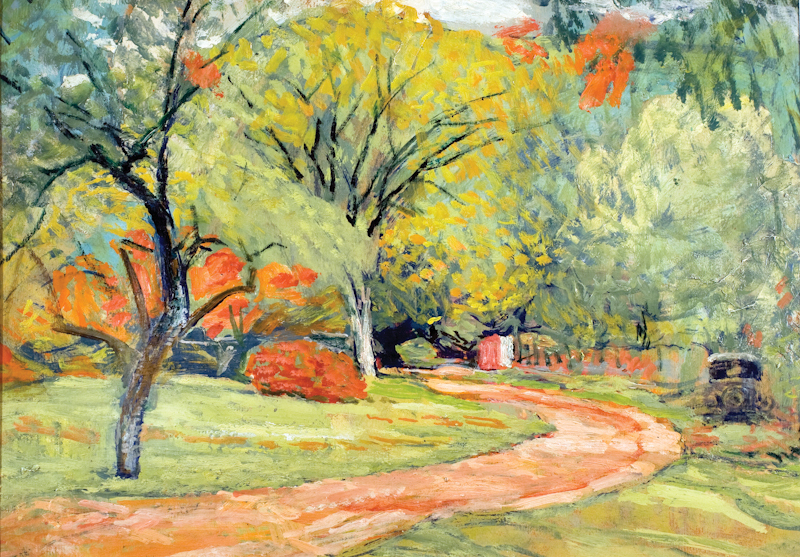 Landscapes and woodblock prints by James Britton (1878-1936), a noteworthy American painter whose work has been regaining critical favor are on view from September 16 through October 23 at the Nabi Gallery in Chelsea. The gallery is at 137 West 25th Street, between 6th and 7th Avenues. Hours are Tuesday through Saturday, 11 to 6. 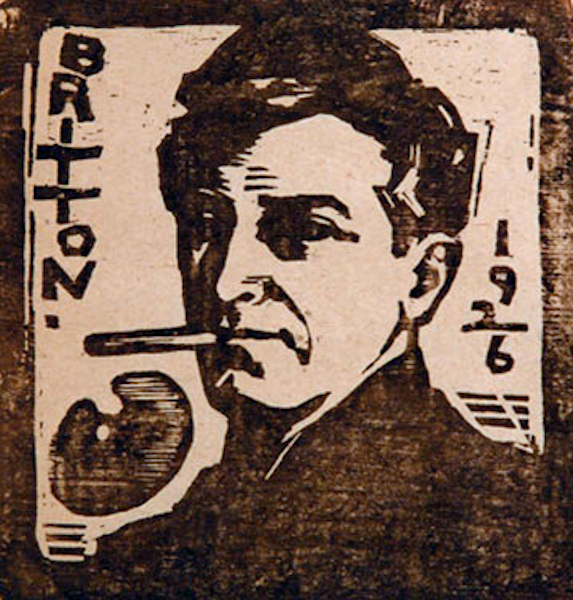 Well-known in his time both as an artist and a critic, Britton lived and worked in Connecticut, New York City, and Sag Harbor, L.I. Born in Hartford, he moved to New York at age 17 to apprentice as an illustrator at Scribner's Magazine and to study at the Art Students League. Later, while living in Greenwich Village, he organized a group of painters and sculptors known as The Eclectics, with whom he exhibited regularly. As a critic for American Art News, he reviewed contemporary events such as the Armory Show of 1913. 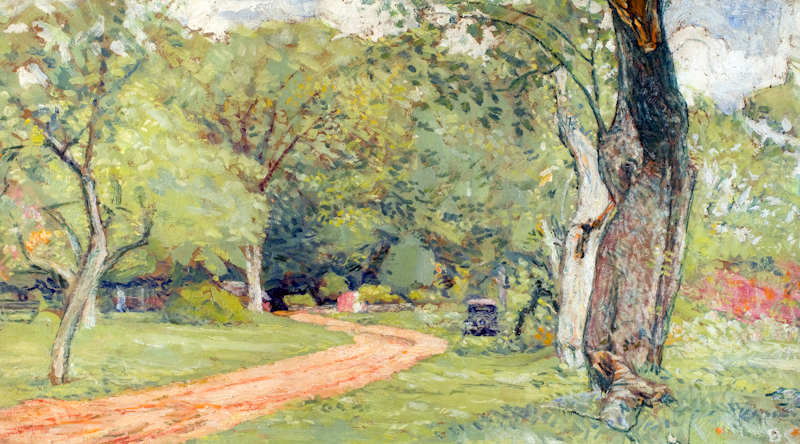 Britton was a compulsive painter of landscapes, often revisiting the same scene over and over to study the changing effects of light and cloud. Chronically short of funds with which to buy materials, he painted on whatever came to hand, including cereal boxes. These works convey a spontaneity and a delight in color and texture that make them seem still fresh today. Aside from a 1936 memorial exhibition at the Wadsworth Atheneum in Hartford, Britton's work was rarely seen in the decades following his death--until his granddaughters Ursula and Barbara took up his cause in the 1990s, attracting renewed attention from critics and curators. 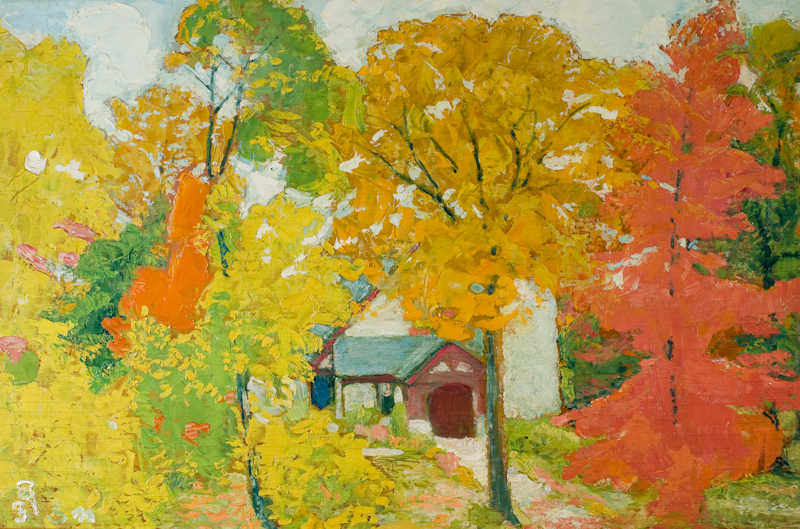 There followed a series of events at museums in Connecticut and California, culminating in 2005 in James Britton: Connecticut Artist at the Lyman Allyn Art Museum in New London. The work was brought to the Nabi Gallery's attention in 1998 by the late critic Ronald Pisano, who noted its stylistic match with the gallery's more recent inventory. At that time the Nabi occupied space in Sag Harbor--in, as it turned out, the same building where Britton had rented a studio 75 years earlier. In subsequent years the gallery included his work in three Sag Harbor shows and three more following our move to Chelsea in 2004, marking the artist's return to a city where his last one-man exhibit had taken place in 1924.